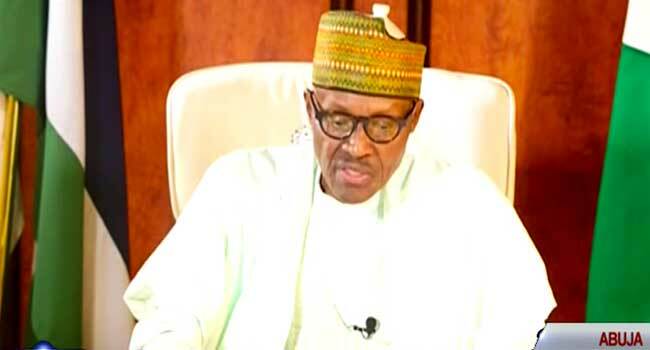 As the President address the nation after his 104 days out of Nigeria, he has said that the unity of Nigeria is a settled case and non-negotiable. He also express how glad he is to be back to the home soil and he is grateful God and all Nigerians for their prayers. President Buhari said this in his address to Nigerians this morning, after he returned from his over 100 days medical vacation in London on Saturday. "In 2003 after I joined partisan politics, the late Chief Emeka Ojukwu came and stayed as my guest in my hometown Daura. Over two days we discussed in great depth till late into the night and analyzed the problems of Nigeria. We both came to the conclusion that the country must remain one and united. Nigeria’s unity is settled and not negotiable. We shall not allow irresponsible elements to start trouble and when things get bad they run away and saddle others with the responsibility of bringing back order, if necessary with their blood." “Every Nigerian has the right to live and pursue his business anywhere in Nigeria without let or hindrance. I believe the very vast majority of Nigerians share this view,” Buhari stated. Not withstanding he admitted to some of the concerns behind agitations in the country been legitimate, he believes there are better available channels to seek redress for grievances rather than threatening the unity and peace of the nation and going against the laws of the land. "This is not to deny that there are legitimate concerns. Every group has a grievance. But the beauty and attraction of a federation is that it allows different groups to air their grievances and work out a mode of co-existence, The National Assembly and the National Council of State are the legitimate and appropriate bodies for national discourse. The national consensus is that, it is better to live together than to live apart." he added.